Maintaining accurate address records of the 2.6 million Scottish taxpayers remains the biggest risk facing HM Revenue & Customs in ensuring that Scottish income tax is assessed and collected properly. Maintaining accurate address records of the 2.6 million Scottish taxpayers remains the biggest risk facing HM Revenue & Customs in ensuring that Scottish income tax is assessed and collected properly, according to a report today by the National Audit Office. 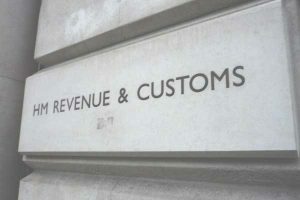 HM Revenue & Customs continues to administer and collect Scottish income tax as part of the UK tax system. The Scottish Government pays the administration costs incurred by HMRC. In 2016-17 these were £6.3 million. For the 2016-17 tax year, the Scottish Parliament decided to effectively match the income tax rates in Scotland to those in the rest of the UK. HMRC estimates it will collect £4.6 billion attributable to the Scottish rate of income tax for 2016-17. The actual amount collected will not be known until July 2018. While the estimate is fairly stated, it would benefit from the greater use of taxpayer data from its own systems. The actual amount of Scottish income tax collected in 2016-17 will not affect the Scottish Government’s budget. But from 2020-21 the Scottish Government’s budget will be adjusted to reflect the actual tax receipts collected from Scottish taxpayers from 2017-18. The Scottish Government will receive £11.9 billion in 2017-18 based on its forecast of Scottish income tax revenue. Some areas of the funding cycle are yet to be agreed between the Scottish and UK Governments, including how estimates will be reconciled to forecasts, exactly when this will happen, and the process for resolving any disputes. With actual Scottish taxpayer data now becoming available, HMRC has the opportunity to set out how this can be used to enhance its estimates of how much tax is attributable to Scottish taxpayers each year. In 2017-18, income tax rules in Scotland differ from the rest of the UK for the first time. Scottish taxpayers pay the higher rate of tax (40%) when they earn £43,000 – as opposed to £45,000 in the rest of the UK. HMRC estimate that 386,000 Scottish taxpayers are now paying the higher rate of tax but does not expect that the difference in the higher rate threshold between Scotland and the rest of the UK will lead to avoidance or evasion. The Scottish Government forecast this will generate additional revenue of £127million in 2017-18. HMRC expects to spend £26.8 million in total by 2019-20 on implementing changes in income tax rules in Scotland. The majority of the spending has been on IT costs, such as the cost of changing systems to account for the Scottish higher rate income tax threshold. HMRC has now rectified issues that led to it not identifying 420,000 people as potential Scottish taxpayers in 2015. The biggest challenge facing HMRC is maintaining accurate address records of Scottish taxpayers. Neither taxpayers nor employers are legally required to tell HMRC of changes of address. Around 80,000 people in the UK move into or out of Scotland each year. HMRC has carried out an online marketing campaign in Spring 2017 promoting the message that people should inform it if they move house. It also used social media to promote this message. However, it does not know how many people it has reached or what impact it has had on public readiness to update HMRC about changes of address.